If you ask most Christians what is Arminianism, they cannot give an answer. However, if you explain some of its tenets, many will acknowledge believing it. Likewise, many people who believe in it live in constant fear that it is possible after they have been saved to lose their salvation so they are never really sure if they will go to heaven. 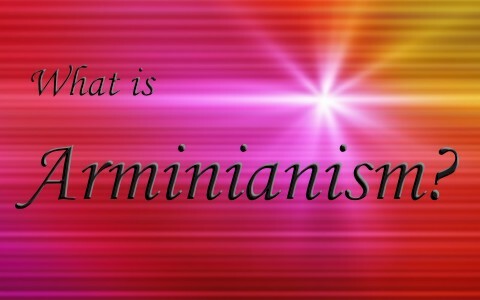 What Is Arminianism? A Christian study is in order to understand it and how it can affect the believer. Where did the term Arminianism come from? Generally speaking, Arminianism is a term for a theological movement that was started by Dutch Reformed theologian Jacobus Arminius (1560-1609) (1). The movement held to the principles of the Protestant Reformation, but were in direct opposition to the theology of John Calvin, Martin Luther, and other reformed theologians, also known as reformed theology or Calvinism. The competing theologies often led to heated debates and persecution of supporters of Arminianism. What are the tenets of Arminianism? Points one through four are accepted, maybe not with the exact wording, by many Christians that do not subscribe to a Calvinist theology. However, point five is where many people differ. Point five proposes that salvation is conditional upon continued faith in Christ and even the loss of salvation through apostasy. Of particular note is what Paul wrote in Hebrews 10 where he explained in context that there are some people that know the gospel inside and out and even have a notion of belief, but do not draw near with a full heart so they do not “believe to the saving of the soul” (Hebrews 10:35-39). Believing to the saving of the soul can be demonstrated by the fact when someone sits in a comfy overstuffed chair to do Bible study, they do not fret and worry throughout their study that the chair is going to fall to pieces, and they will end up on the floor. Instead, they sit down in the chair without thinking at all the chair will fail. They proceed throughout their study without even a notion that they have to be careful because at any moment they are in danger of falling. This is what Paul was referring to in Hebrews 10:22-23: “Let us draw near with a true heart in full assurance of faith, having our hearts sprinkled from an evil conscience, and our bodies washed with pure water. Let us hold fast the profession of our faith without wavering; (for he is faithful that promised;)” Some will reply by quoting Matthew 24:13 or Hebrews 6:4-6. However, these verses are taken out of context. Matthew 24:13 refers to Jews surviving through the seven years of tribulation after the resurrection and being rescued by Christ. Hebrews 6:6 refers to believers who were Jews that were going back and offering a sacrifice when they sinned instead of confessing their sins to God and asking for forgiveness (1 Corinthians 3:13-15; Hebrews 6:9-10; 1 John 1:9). Many times I hear people in counseling who have strayed away from living for Christ say that they think they lost their salvation. I ask them what makes them say this and they reply that they got involved in some sort of sin like adultery or drug use. Then I ask them how do they get their salvation back and they reply by saying something like they need to stop being unfaithful to their spouse or stop using drugs. At that point I ask if they got saved the first time by faith or good works. Nearly everyone says they got saved by faith and acknowledge that good works does not save them. Then I point out that if they got saved by faith the first time, what makes their works good enough to save them the second, third, or forth times? I also point out that if the Apostle Paul said he was the chief of sinners, how many times a day did he lose his salvation and get it back (Romans 7:14-25; 1 Timothy 1:15-17)? The answer is pretty obvious by that point, especially in light of the fact that while explaining the conviction of sin through eating certain foods, God says that ANYTHING not done of faith is sin (Romans 14:23). This should convict us that whenever we sin practically as believers, it is because of our lack of faith to believe what God says instead of what we say. It does not mean that we are going to hell because of it. The danger of this belief is that the believer has no assurance of salvation and they will always be wondering if they are in right standing with God if they are not living a perfectly holy life. Many even confess to me that they fear that if they have not repented of any sin they committed that if they die they would end up in hell! Yes, we should be convicted to examine ourselves extensively when we are caught up in sinful life styles. But, if we truly believe to the saving of the soul we will have no doubt about where we will be when we take our last breath on earth (1 John 5:13). Finally, what makes us think that we, or anybody else for that matter, has the power or right to tell the Holy Spirit to leave after Christ purchased us with His blood (Ecclesiastes 8:8; John 10:26-29; Acts 20:27-28; 1 Corinthians 6:19-20; Ephesians 1:5-14)? When I encounter people that are confused by this understanding of security in Christ, in many cases they have not really trusted Christ as their Savior as their focus is based on having to keep the law to keep their salvation. Once explained and also stressed that eternal security does not give us a license to sin, it is amazing to see the change that God makes in their life because of their newfound assurance of salvation and knowledge that they know they have eternal life (1 John 5:13). Praise be to God! Arminianism is a term for a theological movement that was started by Dutch Reformed theologian Jacobus Arminius. Arminianism was formally presented as a theological statement submitted by 45 ministers to the Dutch government with five major tenets. One tenet that many Christians disagree with is that salvation is conditional upon continued faith in Christ and even the loss of salvation through apostasy. Arminian theology contradicts Scripture in some places and is responsible for many Christians living in fear of losing their salvation and going to hell because they struggle to live a holy life, which is evidence of not enough faith. Take a look at this related article: What Does Perseverance of the Saints Mean? Resources – Scripture quotations are from The Holy Bible, King James Version. (1) “Chambers Biographical Dictionary,” ed. Magnus Magnusson (Chambers: Cambridge University Press, 1995), 62. (2) Jacob Arminius: Theologian of Grace (New York: Oxford University Press, 2012), 190. Here’s the problem: Calvinism offers even less security, at least for many people. One of the famous 5 points is that salvation is only for the “elect.” So if you repent, turn your life over to Christ by faith, but you’re not predestined, you’re done for anyhow. How is that any more secure? Yes, Calvinists have their escape clauses, just as Arminians do, and both sides wind up eroding their credibility because of them. If one studies TULIP x 5 — and Arminianism along side, one can see that being a “Calminian” is the only way to go. Each set of theological tenants has its shortcomings and Scriptural inconsistencies. Each tries very hard to convince those of the other persuasion where they are wrong. One things’s for certain, the TULIP x 5 is not Scriptural, unless one does their daily Scriptural gymnastics and applies mystery-driven mind bending reasoning. Let us agree to disagree, in love. Eternal life is available to all through faith in Jesus Christ our Lord. Respectfully and in Christ’s love. Hello friend. I agree. Let us agree to disagree and not be disagreable. I do not like labels. We are either a disciple of Christ or not. I cannot convince anyone who is already convinced. Thank you. Previous post: Did Humans Exist With God Before They Were Born On Earth?